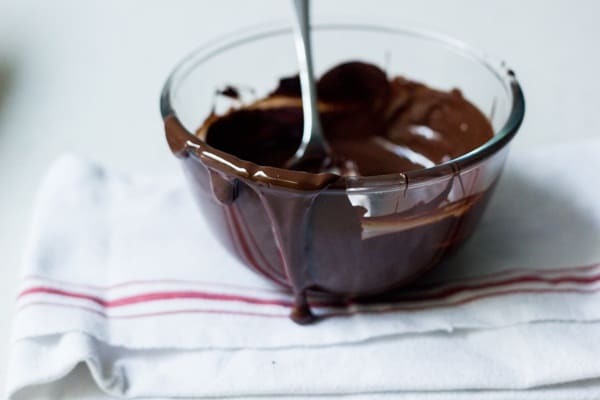 Whenever I want to coat things/ dip things into chocolate (more than just a drizzle), then I’m always faced with the idea of having to temper the chocolate. Normally, I wouldn’t really care if there was a little bloom on the chocolate, but when you’re a food blogger, you feel the pressures: you can’t have grainy, bloomed chocolate all over those cookie right!? Does anybody else feel judged for having un-tempered chocolate? nope? just me? Alrighty then. Yup, that’s how I judge how well this worked. Such is my life. 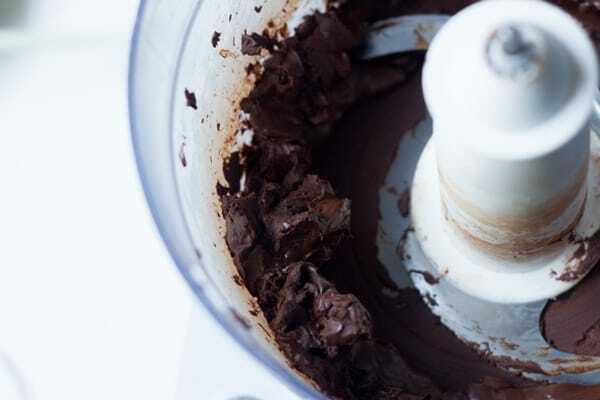 Put the chocolate into the food processor Blend until you get a mixture that resembles fine bread crumbs. 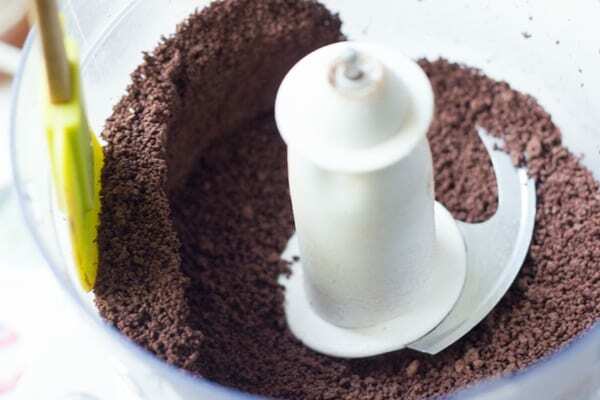 Blend again for 1 minute. Scrape down the sides and bottom of the food processor. 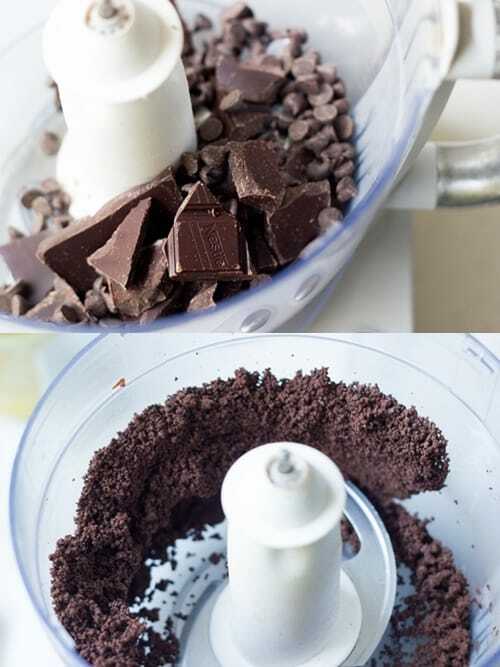 Blend until the chocolate clumps up into a ball – break it up using your hands. 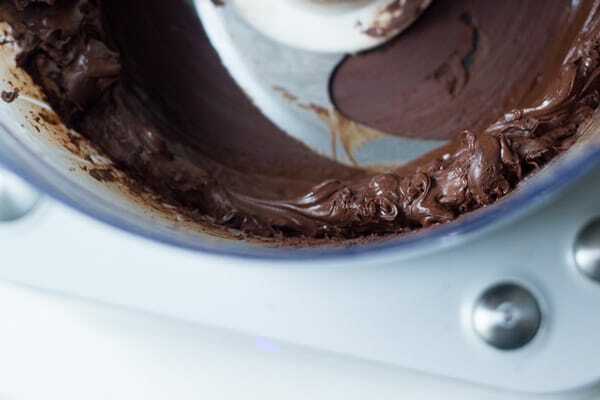 Blend again until you get a thick, ganache like texture. Scrape down the sides and bottom of the food processor. Warm a glass / ceramic heatproof bowl by pouring boiling water into it and leaving for 5 minutes. 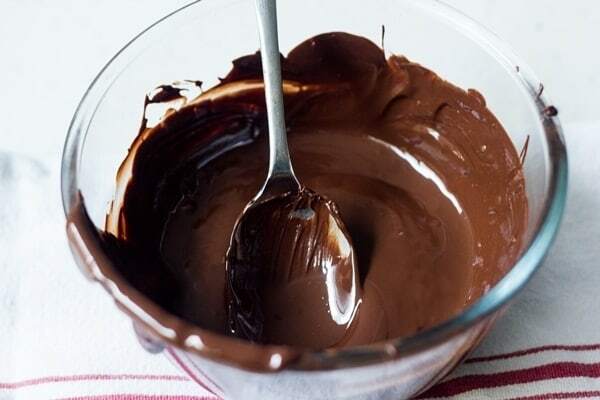 Pour out the water, dry the bowl well and pour the chocolate from the food processor into the warmed bowl. Stir the chocolate. This changes everything. Pure genius. God, I know right? I don’t know how I’d never seen this before! But oh, the possibilities of THIS! So much easier. I can’t wait to try it! Yes way! Haha, that was my exact reaction too! I’ve tried the normal method a few times, but it has never worked as well as this did for me! Will definitely have to try this method!! Dang. I really could have used this a week or two ago…Oh well, from now on, it’s my go-to! Although I’ll have to buy another thermometer because mine won’t go all the way down to 90. blah. Thanks for this one! I can’t wait to try it! This is so awesome. I’ll be trying this for sure – thanks for posting! Oh my god! I just pinned this — I will have to try this next time. I always melt my chocolate in the microwave and feel severely judged for my untempered chocolate ;). Thanks Izy! I’ve always wondered if I should try tempering chocolate for certain things, but I never actually got around to trying it. Now that I see how shiny it makes your chocolate, though, I feel like I need to test this method asap! But what I’m wondering is, can you re-melt the chocolate or warm it up again if it starts setting too quickly? 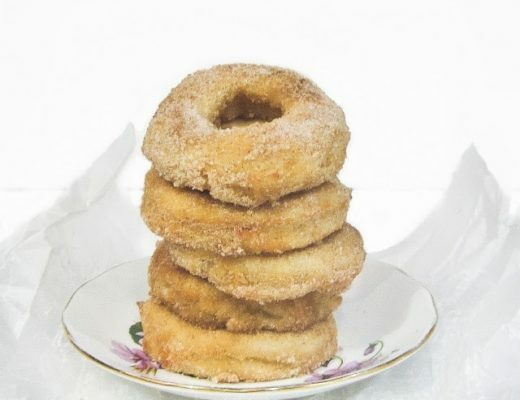 Or would you have to temper a new batch? And what kind of thermometer do you use to test the temperature? I feel like I’m asking stupid questions, but oh well! @Alexandra….I was JUST going to ask the same exact questions!! 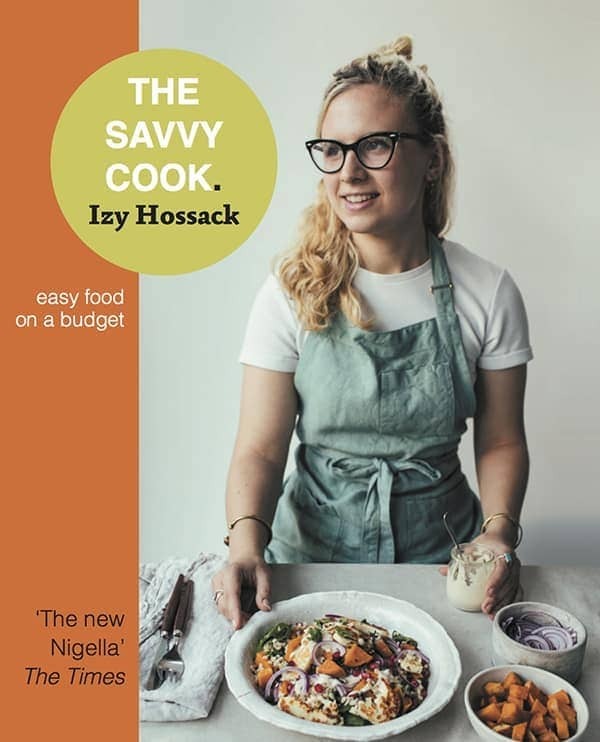 Thank you Izy…you rock!! I need to try this… It seems like pure genius. I will report back! this is legitimately life changing. thanks! I read a bunch of other instructions on how to temper chocolate and they all say to not use chocolate chips at all because there’s some sort of additive in them that doesn’t allow you them to melt as easily as blocks or chunks of chocolate. Does that apply to your method of tempering? Which form of chocolate would be best? Use bar chocolate. It’s already in temper, this method is simply melting chocolate without losing temper. And chocolate chips will not work. Well, I tried this without much success. Don’t know where I went wrong. I tried it with 300g of chocolate – half dark and half 70%. I decided to start with about 1/4 of the chocolate and to keep adding small pieces as it was running. 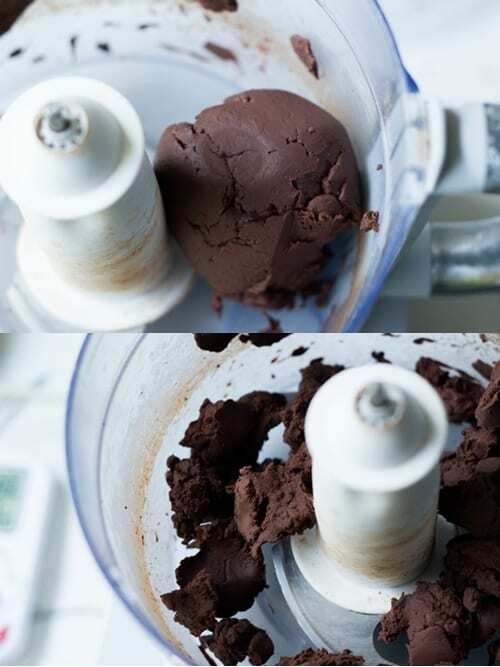 First off – pieces of chocolate kept jamming the blades, so it was constant stopping, fixing, adding more chocolate . . . . Got it to the breadcrumb stage, then got it to a ball. Broke it up, and started blending it again. It went back to a ball again. This must have happened at least 3 times until I ended up with 50% still in a ball. 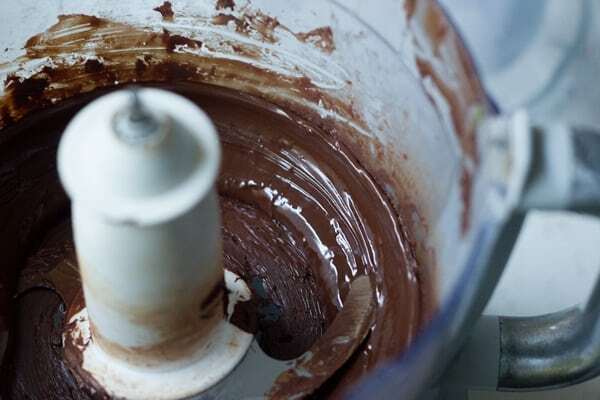 I finally gave up and went back to the usual method, but hell it was difficult to get the chocolate out of the food processor as a lot of it had hardened on the sides! I had the same results, Deidre! So frustrating. Now I have a bowl of re-hardened, blooming chocolate. hat went wrong?? Tempering chocolate is my nemesis, so I really must give this a try. Thanks for the instructions. MIND = BLOWN. Seriously?! Alton Brown definitely is a genius, so I’ll have to try this. Wow, who knew. Now, how do you *maintain* the temp if you’re dipping stuff that takes a while? I like to use a heating pad on low. Stir it often and remove if the temp climbs. Put back on it if it starts to fall. Worked perfectly….and this was my first time tempering chocolate! I used this method today to make chocolate heart filigrees for valentine cupcake toppers and all I have to say is, “WOW!” this worked like charm and I enjoyed every second of the process! It was so fun to try a new method and it really was super easy! 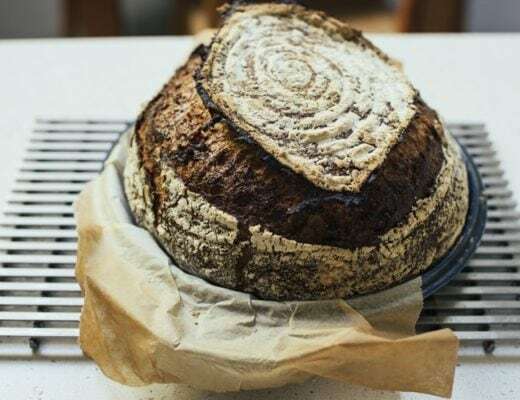 Thank you so much for sharing this method and for all of your creative ideas and recipes! This was so much fun to make and very interesting…very fascinating process! Thank you!! I hear you, I HATE spending forever chopping, melting, stirring, checking the temperature of chocolate. I did a patisserie course and almost failed the chocolate component because I just can’t get my head around tempering. One of my instructors had mentioned using a good processor but never demonstrated this method. I have a shop and sell chocolate topped caramel slice but have never been able to get chocolate in temper even compound chocolate melts bloom for me. I’ve resorted to dusting with cocoa powder to hide my shame! I’m keen to give this a try! Thanks! Just tried it with 200g (7oz) of dark chocolate melts. I ended up putting it into a warmed glass bowl but so far so good. I’m feeling excited by this method and the prospect of being able to quickly & easily temper chocolate ! Read this and did a backflip! Used this technique to do Valentine’s chocolates – worked like a charm! Didn’t even need the warmed glass bowl. WOOHOO!!! !